are the perfect treat on a hot summer day! One of my favorite things about summer is getting to eat all the ice cream. I'm sure many of you can understand and agree completely. Now don't get me wrong I eat ice cream all year round, but during the summer I go all out. Lots of homemade ice cream, ice cream sandwiches, milkshakes, and everything else in between. 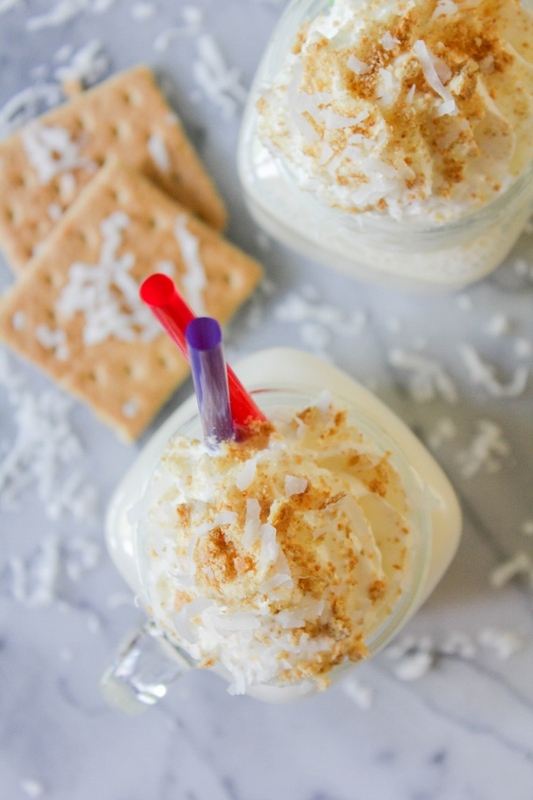 Speaking of milkshakes, these Coconut Cream Pie Milkshakes are my jam. I whipped them up a few weeks ago and haven't stopped making them since! 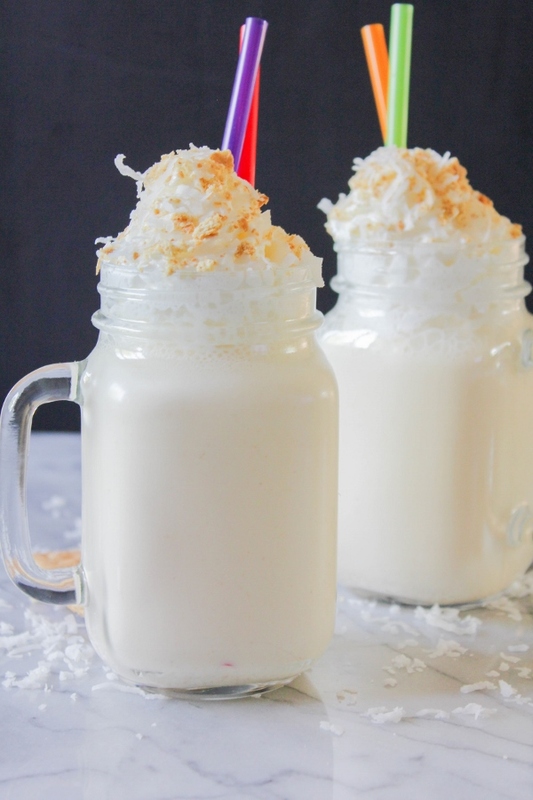 If you love coconut cream pie then you are going to adore this shake. I'm not kidding when I say that it tastes exactly like a slice of pie! 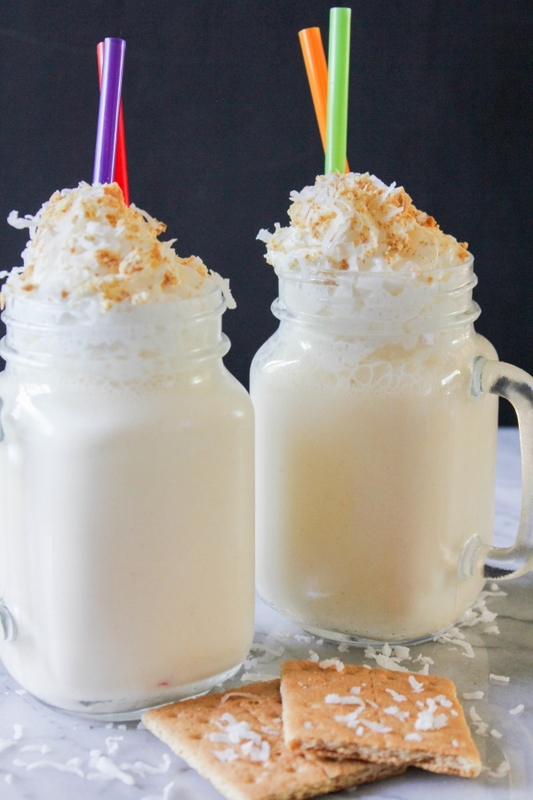 The graham cracker crust, the intense coconut flavor, the creamy and smooth filling, it's all there. Just better because it's in a drinkable form! I could literally have a milkshake for dessert all summer long. There are so many different flavors and combinations to make, you can have a different one each day! What's your favorite milkshake? Share with me in the comments below! Place all of the shake ingredients into a blender and blend on high until smooth. Divide the shake evenly between two glasses. 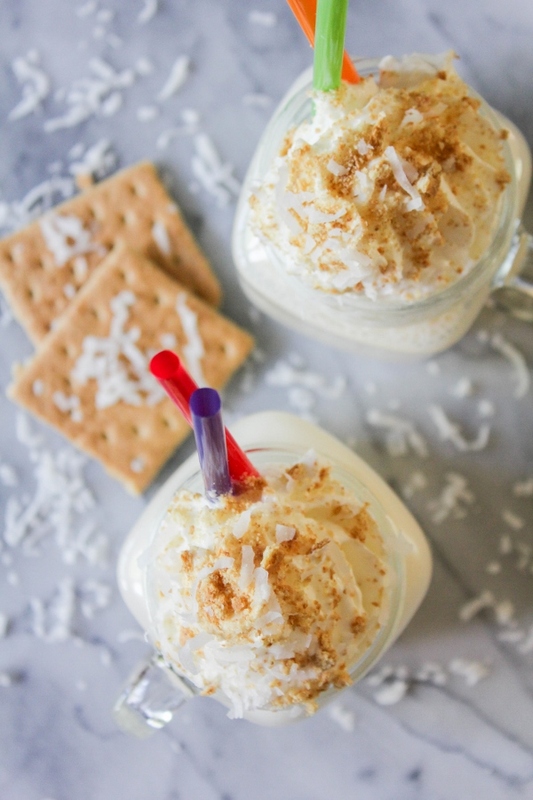 Top with whipped cream, then sprinkle with additional coconut and graham cracker crumbs. As a Milk Means More Ambassador, I was compensated for developing an over the top milkshake recipe. All opinions, as always, are my own. Thank you for supporting the brands that make this blog possible!